The recipe has slightly evolved over the years but It is always quick, easy and delicious! 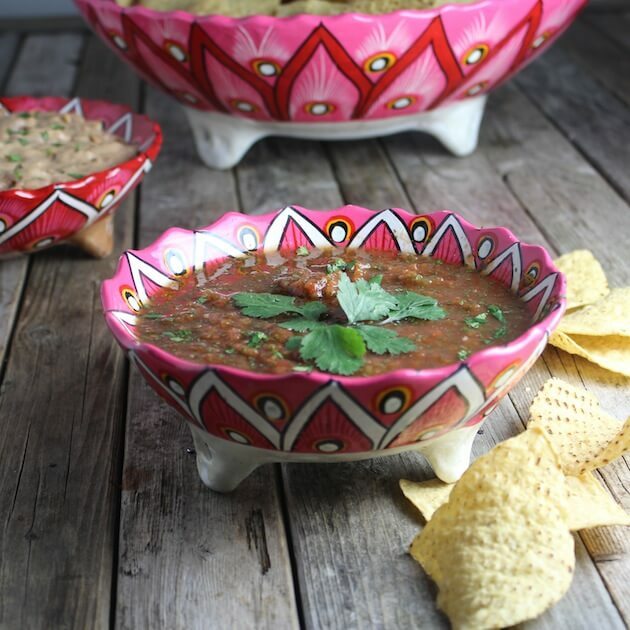 For the slightly spicy version you only need one can of Rotel Original, a can of diced tomatoes, some fresh cilantro, green onions, garlic powder, salt and pepper,… and you’ve got yourself some muy bueno salsa! 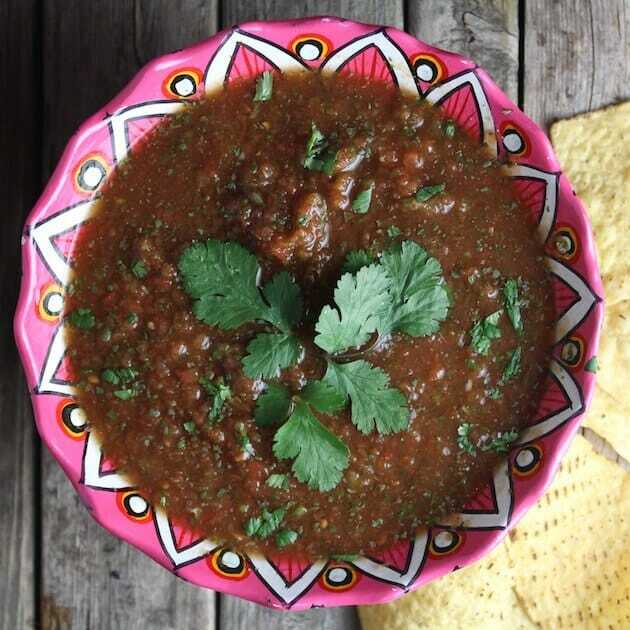 If you have a low tolerance for spice you might think it’s too calienta AKA hot.♨ If you tend to like your salsa on the mild side just add an extra can of diced tomatoes and you’ll be all set. 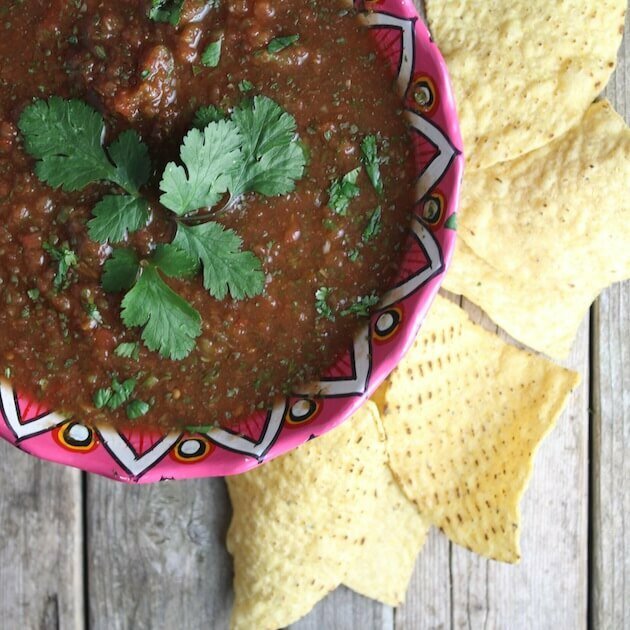 What can I say…Super Easy Salsa…yummy, quick and sooo simple! ir a buscar un poco de salsa!!? 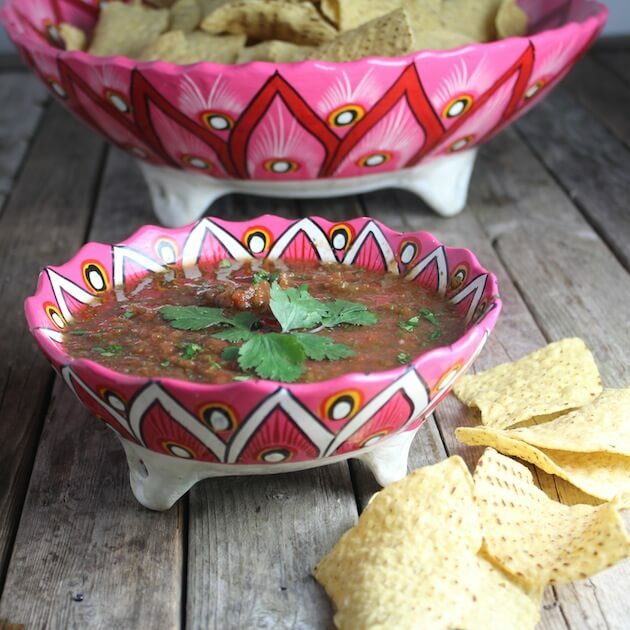 (Go get some salsa!!) Yay for Spanish 101!! 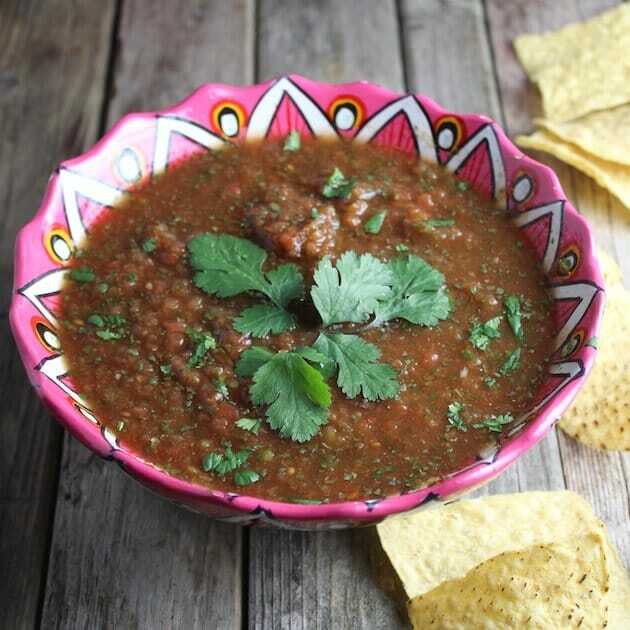 Salsa Suprema recipe super easy, fresh taste. 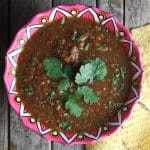 W/canned diced tomatoes & green chilies (Rotel), fresh cilantro, green onion, garlic powder, salt & pepper. Add half of the Rotel, garlic powder, salt, pepper cilantro and green onions into the food processor (or blender). Blend the ingredients until mix well. Add the rest of the Rotel and the tomatoes and blend together until everything is mixed well. PS: As a fellow lover of Mexican food, I feel obligated to recommend you try my shredded Mexican chicken, and these cheesy chicken enchiladas!